Background: Classroom lectures remain the most common mode of instruction in medical colleges. However, poor attendance is usually observed in non-examination subjects. The aim of this study is to explore the perspectives of both the students and faculty about this absenteeism. Subjects and methods: This is a descriptive research design using a cross sectional survey. 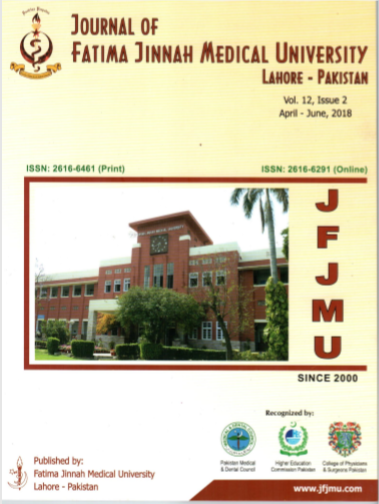 The study was conducted from April to October 2013 in a public sector medical college of Lahore, Pakistan. Lecture attendance in General Surgery classes for a class was followed and reviewed from 3rd to 5th year. Then a questionnaire was designed based on group discussion with the representative sample of same students. The questionnaire was validated by expert opinions and later distributed amongst students and faculty of public medical colleges through email, Google forms and in person using non-probability sampling. Results: The average attendance in preclinical years (3rd and 4th year) ranged from 5-15% per class whereas it was 63-78% in final year. The perspective of students differed from faculty when the lecture quality or lecturing skills (13% vs 55%) were considered but both have consensus (88% vs 100%) that nonexistence of a summative examination by the university was the main reason for absenteeism in the subject of general surgery in preclinical years. Conclusion: Attendance is very low in public sector medical colleges of Pakistan in surgery lectures during 3rd and 4th year MBBS. There are multiple factors responsible for this absenteeism, but both the faculty and medical students had the consensus that a major reason is lack of a summative examination by the university in this subject.